Every week we organize 3 to 4 cultural and business related activities, just for you! Learn more about China and its culture through our lectures, cultural activities, excursions and charity activities. Want to know what activities are awaiting you this month? Check our upcoming activities for Beijing and Shanghai. 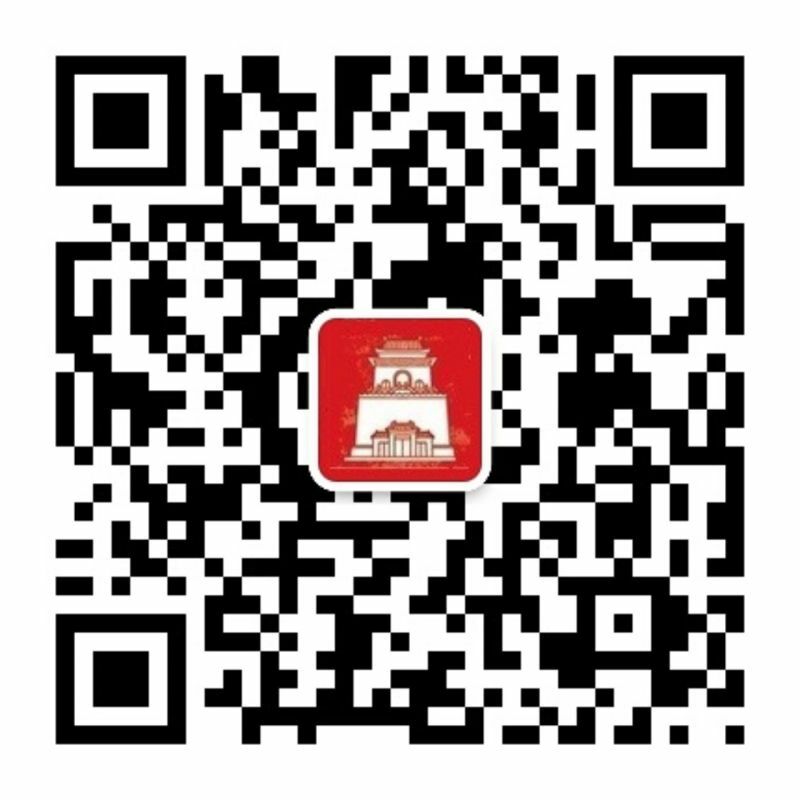 Or follow us on WeChat and receive weekly updates. 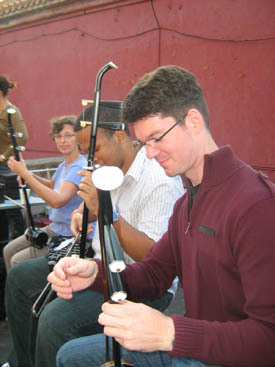 To enrich your China experience, we organize frequent cultural activities. These improve your knowledge of Chinese culture, enhances the community spirit and helps you make new friends in China. Learn how to create different types of classic Chinese dishes. 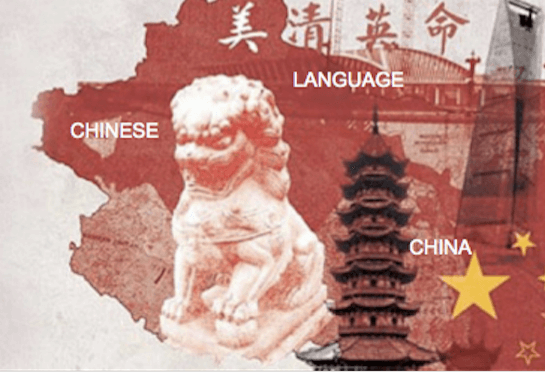 Being such a large country, China's different regions all have their own specialties. China's cuisine is a varied landscape bursting with flavor. Tai chi isn’t just a way for people to keep healthy, it is China’s oldest form of kungfu and can actually be used for self defense. These lessons show how Tai Chi and Chinese medicine are related. Once a month we organize a Chinese movie night to introduce Chinese cinematic masterpieces to our students. One of our teachers will also give a short introduction to aid students’ understanding of the movie. Since ancient times, there have been three main board games in China: weiqi, xiangqi, and mahjong. You'll master them in no time. Learn various traditional Chinese handicrafts, such as paper cutting, kitemaking, miniature sculpture painting, Chinese knotting, or sculpting. Handicrafts such as these are steeped in Chinese peoples’ culture and history and make wonderful, unforgettable gifts. Depending on the season, Hutong School organizes various activites that are just for fun. Students can experience various forms of modern Chinese entertainment in order to better understand Chinese life or culture, have fun, and also to give students a chance to meet each other outside of the classroom. Examples are: trips to Chinese hot-springs, skiing, or laser-tag, among other things. Hutong School regularly invites businessmen, journalists, diplomats and scholars to talk about their experiences concerning various China related topics. Our lectures are usually preceded and followed by social networking, including drinks and snacks. "Chinese Outbound Tourists and the European Market" - Mr. Robert Vertes, Second Secretary at the Hungarian Embassy, in charge of Tourism. Hutong School regularly takes you on a trip outside the city in order to help you discover more of what China has to offer. We are also always willing to assist you with planning trips to other cities in China. 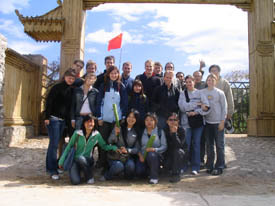 Hutong School can also help you book trips to other cities in China. We can provide a list of sights to see and places to visit and help book your travel to make the trip as smooth as possible. At Hutong School, we encourage our students to get involved in different philanthropic activities around Beijing and Shanghai. Whether it is teaching English at a school for migrant workers' children, planting a tree, or visiting an NGO, we hope students will get involved with the local people and learn more about Chinese culture. Schools for children of migrant workers can be found all across the outskirts of Beijing. They are privately organised and funded by migrant workers trying to provide their children with the most basic education. Unlike other state schools, these institutions are not recognised by the government and do not qualify for state support. Conditions at these schools are far from ideal due to a lack of funding. 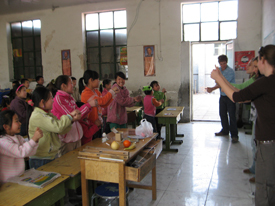 To help ease these pressures, Hutong School organizes teaching excursions to one of these schools in the north of Beijing every other Sunday. Although the main goal of these excursions is to teach the children basic English, participants quickly realise that there is much more to this trip than just the study of grammar and vocabulary. What may start out as an interesting way to explore Beijing beyond the city centre often leads to a genuinely heart-warming experience where children and teachers alike join in with games, songs and dances… in English if possible. The real experience lies in discovering how much one can give with just a little bit of good intention.